It was a partly cloudy morning in the national capital on Tuesday with the minimum temperature recorded at 27 degrees Celsius. According to the Met department, chances of dust storms and thunderstorms are positive. “The sky will remain partly cloudy throughout the day. By evening, there are chances of dust storm and thunderstorm. However, chances of rainfall is nil,” an India Meteorological Department (IMD) official said. Many places in Rajasthan state witnessed heavy rainfall on Monday which reduced the hot weather for a bit. 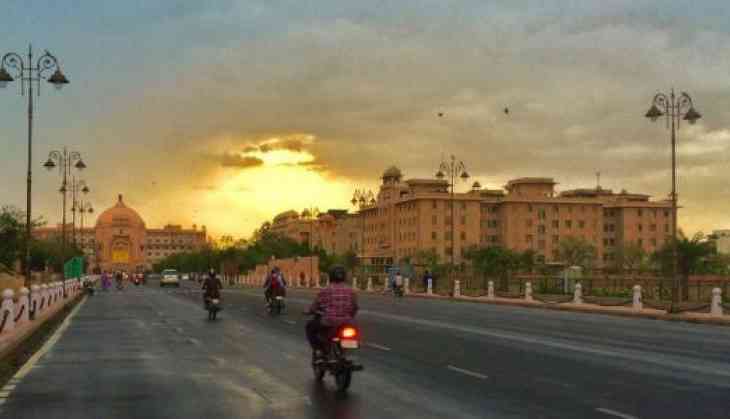 Jaipur Met office also informed that conditions are favourable for the onset of south-west monsoon in a few days in the state. In its latest forecast, Jaipur MET office stated that heavy rainfall will occur at many places in eastern Rajasthan in the next 24 hours.